Rotary in Haddenham and the surrounding villages and towns is part of the world-wide Rotary International voluntary community with 1.2 million members in 200 countries. · gain personal satisfaction by making a difference. In and around Haddenham our Community Service Team and club members give support to the community by funding village Noticeboards and developing IT capability at the library; we have provided benches at bus stops and at the church, and the public defibrillator at St Mary’s Centre. In April we team up with Thame Rotary to offer free blood pressure checks and stroke awareness advice at a local Co-operative supermarket, as part of the UK Stroke Awareness Campaign. We contribute to local schools through ‘Kids Out’ – a fun day out to Legoland for senior year disadvantaged children at nearby Special School; our tree planting and sensory garden initiatives at local schools; Marshaling the fireworks at St Mary’s School, Haddenham, and our increasingly popular Young Photographer Competition. We also provide Marshals for the WheelPower annual Tour de Vale cycle ride with over 1000 riders taking part. We participate with a local college in the Rotary Technology Tournament where pupils from local schools are given just one day to design and build a solution to a real-world challenge, and interactively contribute to young people preparing for life in business and further education. We run a local competition to enable a candidate with demonstrable development potential to participate in the annual Rotary Youth Leadership Awards. 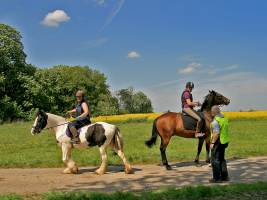 Each year in May, we design, organise and Marshal ‘The Waddesdon’, a 12-mile sponsored cross-country horse event for all ages. This unique event enables some 300 riders to enjoy the private Waddesdon Estate by kind permission of Lord and Lady Rothschild. First run in 2003 this event raises around £8,000 each year for local charities and deserving causes. In addition, our Service Projects Team run ‘Christmas Santa’ in collaboration with Haddenham Garden Centre, and raise around £5000 arranging for 'Santa' to meet local children in the weeks before Christmas. Our annual ‘End Polio Now’ Quiz Night, Art Exhibition, Jumble Sale, Metal Detector Rally and ‘Tin Shaking’ collections, all add to our charity fund. We support local organisations, some large, for instance Age UK Bucks, Air Ambulance, Coram Life Education, Cystic Fibrosis, Helen and Douglas House, Prostate Cancer, Macmillan Nurses and the Six Counties Kidney Patients Service, as well as smaller charities and deserving causes, of which Haddenham Cycle Training, Snakemoore, Special Effect, Medical Detection Dogs, The Lighthouse, Upward Bound Trust, WheelPower, Whizz-kids and Young Carers Bucks are just a few. Haddenham Rotary is also active further afield. Our International Team work hard in support of the global initiative to rid the world of Polio. 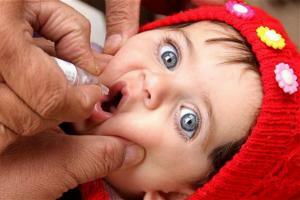 Rotary and its partners have so far immunized 3 billion children against polio. The more children we immunize, the more difficult it is to reach those remaining, but the initiative continues and our ‘End Polio’ Quiz Nights raise sufficient to give the vaccine to nearly 2900 children each year. Our hands-on International Team have also been delivering humanitarian aid to deaf schools in the Mount Kilimanjaro region of Tanzania, since 2005, originally through an association with Msandaka School for the Deaf. This identified an acute need for practical help to improve the quality of the school's teaching and living accommodation. 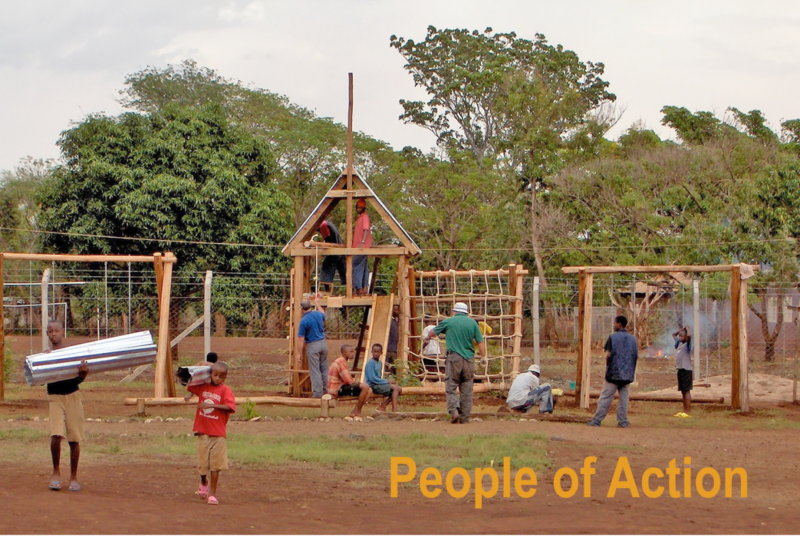 The team return regularly to continue their work to build new or improve workshops and classrooms for teaching employment skills such as woodworking and sewing, dormitory, toilet and cooking facilities, play areas and security fencing. Pilot Programmes to develop self-sustaining projects are also being progressed with the schools, for instance the purchase and installation of water harvesting and water storage, to enable successful crop gardens to be established and to thrive. As well as our own fund raising, the team also works with partners here in the UK and abroad to raise funds and seek out grants that will enable this enterprising work to continue. We enjoy fellowship and speakers on a wide range of topical subjects. We arrange social events (just recently a fascinating tour of the Wren Churches in London) and other activities that provide a welcome distraction from hectic business life. Travelling Rotarians are warmly received and often given valuable assistance, by the worldwide network of Rotary volunteers. Many travelling Rotarians have been helped to find a local hotel, doctor, dentist, or lawyer, through the Rotary network. Do you enjoy having fun while helping others less fortunate than yourself? We invite you to contact us to find out more about Rotary, to help us with our events or to ask about coming along to one of our meetings. Forge new friendships, exchange ideas and use your business and social skills, and professional resources, to benefit people less fortunate than yourself. Help Rotary deliver humanitarian aid to local, national and international communities and your business life can benefit too. “People around the world live better happier lives because of Rotary. The people we help might not have met a single Rotarian. They might not even know that Rotary exists. But they are drinking clean water from a bore-hole well that Rotary dug. They’re learning to read with books that Rotary gave them. They’re living lives that are better, happier, and healthier – because of Rotary Serving Humanity”.